With digital manufacturing and Industry 4.0 practices increasingly becoming more popular, edge computing emerges as the new standard in smart factories, and with that the necessity to ensure maximum end point security. 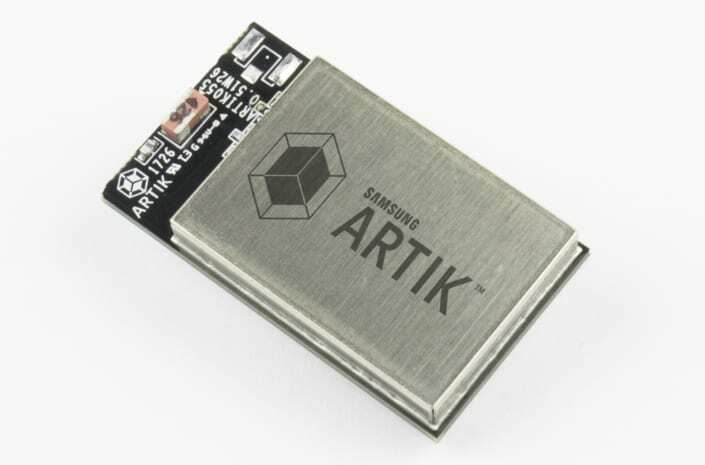 To tackle this problem Samsung is working on a new set of IoT modules for the ARTIK family, “The New ARTIK™ secure systems-on-modules”, that will deal with security issues on a hardware level. Also, the South Korean company has announced a reorganization of its cloud platforms as well as upcoming software tools for none other than Samsung’s new IoT platform. “The New ARTIK™ secure systems-on-modules” declares Youngsoo Do, Senior Vice President of Digital Control Group at Samsung Electronics “provide the performance and security features we need for our new Samsung IoT appliances”. Such modules, to be available on November 30 through Samsung ARTIK™ channel partners, will feature top-notch hardware-backed security in addition with a memory module, processing power and seamless connectivity. The ARTIK™ modules are meant to cover a vast array of IoT applications, from smart home to smart factories, from healthcare to distributed mobile networks. Security is also enforced through a factory-injected unique ID, with keys stored in tamper-proof hardware. Thanks to Samsung’s PKI, i.e. Public Key Infrastructure, each device is connected to the cloud and instantly identified. In order to provide an extra layer of protection, customers may use the new Secure Boot feature and validate software authenticity on boot. Also, whitelisting is supported. Finally, the Trusted Execution Environment (TEE) completes the package with a secure OS, a security library for storing, processing and managing keys and tokens on devices with FIPS 140-2 data encryption. The new modules officially support Ubuntu, which is coming to the all Samsung ARTIK IoT Platform. SmartThings Cloud officially becomes “Samsung’s new unified IoT platform”. This means that the cloud services of the South Korean company, i.e. Samsung Connect Cloud and ARTIK Cloud, will all merge into one giant IoT cloud platform. The company is going this way in order to ensure an open ecosystem for a greater interoperability and easier connectivity among Samsung’s devices and services and third-party devices and services, and therefore boosting the potential in home as well as industrial applications. The unified IoT platform will natively support all Samsung’s IoT products and services as well as the entire ARTIK family and the ARTIK Cloud as well.